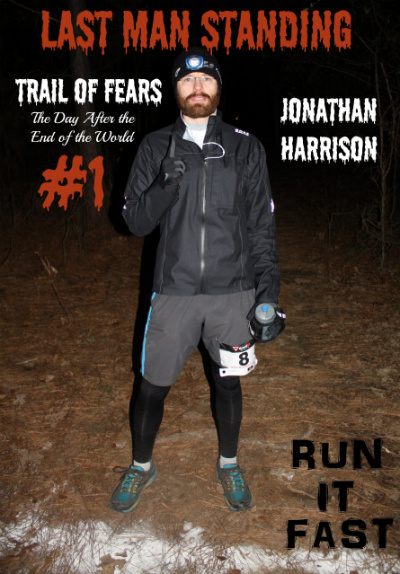 Tag Archive | "Travis Redden"
Jonathan Harrison won the inaugural Trail of Fears: The Day After the End of the World Elimination Race late Saturday night after outdueling Illinois native Travis Redden in one of the most exciting race finishes of 2012. 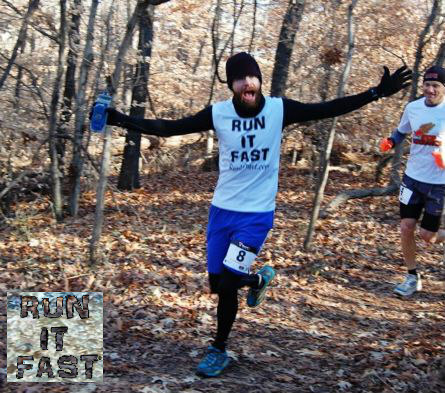 Runners started with 60 minutes to finish the 4.3 mile trail loop. If runners didn’t make it back to the start/finish in that time then they were eliminated. The race restarted every hour. If runners tapped out or didn’t make it back to the start for the restart then they were eliminated as well. After four hours, a minute was subtracted from the clock per hour until stabilizing at 55 min/loop. It remained at 55 min until lap 14 when it was reduced to 53 minutes then 51 minutes for lap 15 and 50 minutes for lap 16. 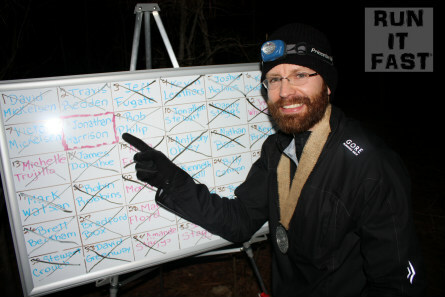 Third place went to Mississippi native Rob Philip after he was eliminated after 13 loops as he barely missed making it back to complete his 14th loop. That left just Harrison and Redden for loop 15. Redden smoked the loop as he had done the last handful of loops coming in with 3:43 remaining on the 51-minute clock. Harrison, perhaps the most cerebral runner of the day came in with just 40 seconds remaining. It was then announced for lap 16 that the clock would be reduced by 1-minute down to just 50 minutes. As both runners headed back to the start line, Redden stated that he thought he was done and was going to call it after 15 amazing loops. Since Travis had beat Jonathan on the prior lap then this meant that Jonathan had to complete the 16th loop in less than 50 minutes for the win while Travis waited at race headquarters along with everyone else. 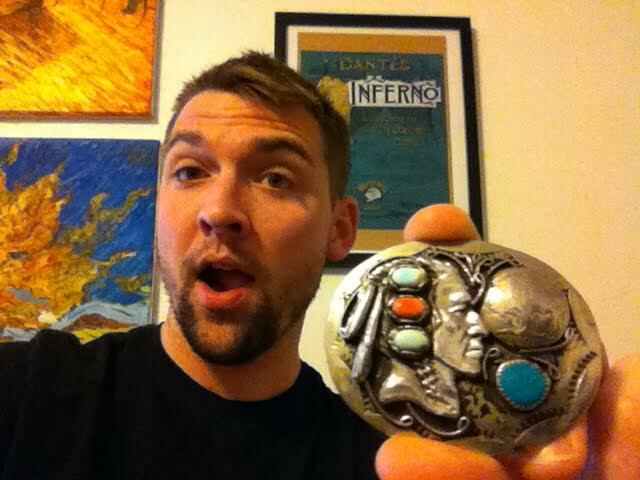 If Jonathan failed to do it in less than 50 minutes then Travis would be the winner of the race and the coveted Mayan Calendar belt buckle. 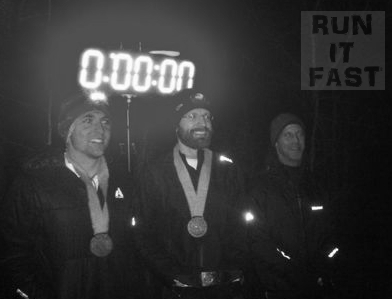 So the clock started and Jonathan took off into the dark wilderness to try to win his first race of any distance ever. 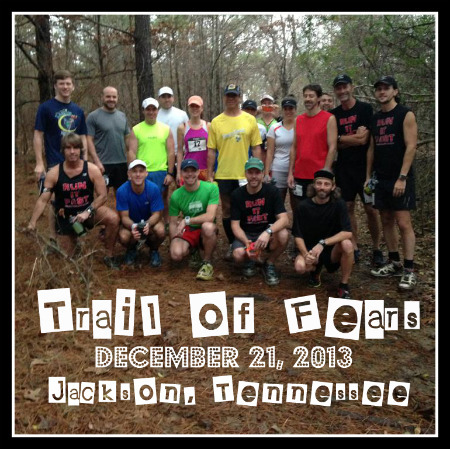 His personal long coming into the Trail of Fears was 40.5 miles a month before. If he finished loop 16 then he’d have run 68.8 miles for the day. So everyone waited and made guesses on the outcome of the race as Jonathan ran with more adrenaline than he could probably harness. He controlled his own fate and the outcome of a very exciting day. As you already know from the headline and intro, Jonathan Harrison dug deep and came across the finish line for the 16th time on the day with about 65 seconds remaning and the win. His wife Leah and friend Nathan Judd were there to hug and congratulate him on his amazing day, personal long, and win. 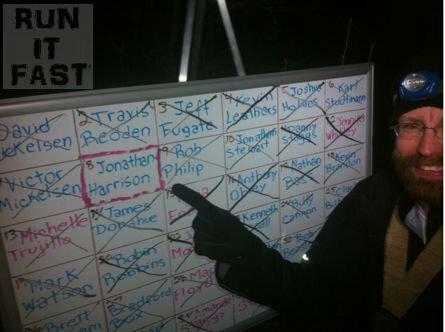 Last Woman Standing went to Julie Montgomery with 8 loops (34.3 miles) which was a new personal long for her as well. 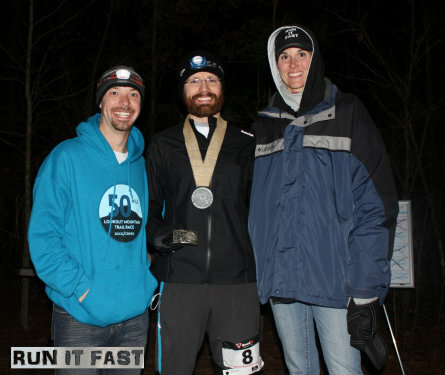 Second place female was Jennifer Whitley (6 loops) and third place went to Alicia Eno (4 loops). 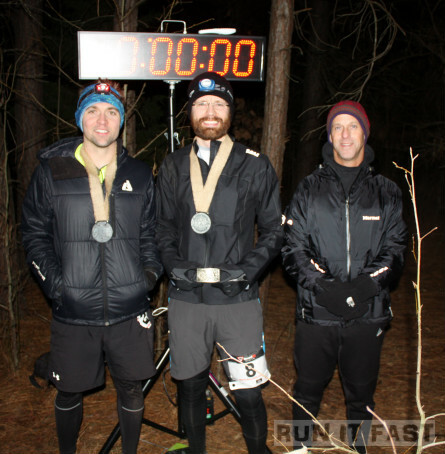 *= runners that completed 1 additional loop (4.3 miles) but not before the clock ran out, eliminating them from the race.